The Cardiology division of a major international healthcare organization enlisted the assistance of Vela Technologies to develop a series of in-depth clinical marketing materials on their ECG Analysis technologies. 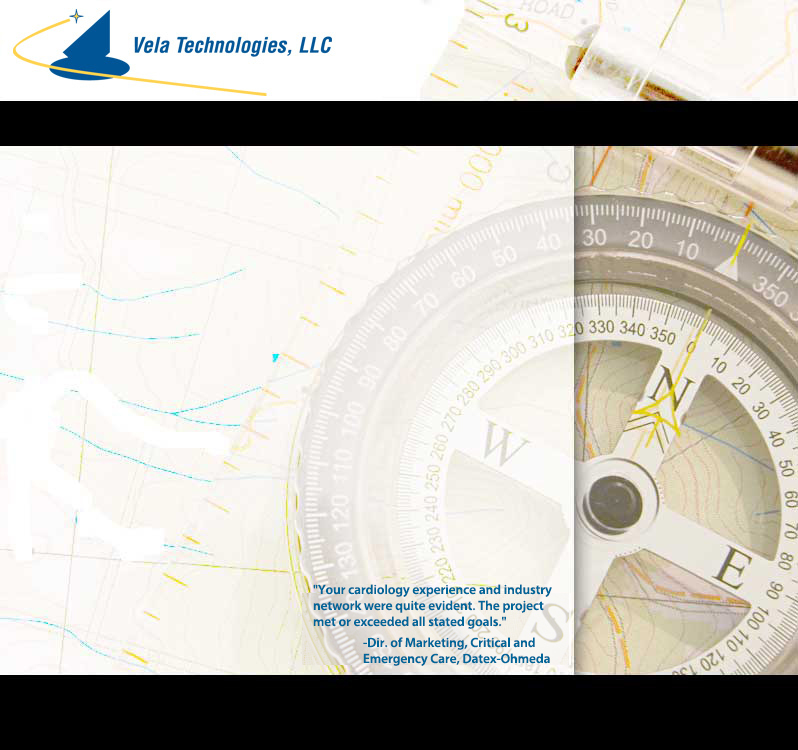 Through discussions with the field organization and other internal experts, Vela Technologies identified the key factors and primary selling points for their product portfolio. Through this process, an alternative approach was suggested and subsequently implemented that more effectively communicated the history, clinical value and operational efficiencies of their unique technologies. A leading provider of Radiology and other Healthcare Software solutions extended the capabilities of their marketing team by engaging Vela Technologies to assist with a variety of pre- and post-launch initiatives including messaging and positioning, development of white papers, marketing collateral, an animated video and various other sales tools. The materials developed were fundamental to a successful new product launch as well as ongoing sales and marketing activities. Two mid-size medical companies facing declining sales in their key product lines enlisted Vela Technologies to explore the market dynamics driving this decline. Through objective and candid interviews with their Sales and Clinical Specialist teams, key factors were identified which allowed the companies to effectively realign their sales support and product development plans. Vela Technologies interviewed CIOs and other Healthcare IT professionals to obtain first-hand accounts of their Meaningful Use attestation experience then leveraged this information into a white paper and ROI calculator to illustrate the value of the client's offering.